A live virus vaccine contains a weakened, live virus that is designed to help your body develop an immune response without you developing symptoms of the disease it is intended to prevent. The virus is teaching your immune system what the virus looks like and allows the body to develop an immune response. Many vaccines of this type allow for life-long immunity to develop with only one of two doses needed. Because these vaccines contain a small amount of a weakened live virus, they should not be given to patients with weakened immune systems, such as patients on high-dose steroids, undergoing cancer chemotherapy treatment, or if they have certain diseases such as HIV. Pregnant women should not receive live virus vaccines. While most inactivated viruses require multiple doses, live virus vaccines often require only one or at least fewer doses (e.g. 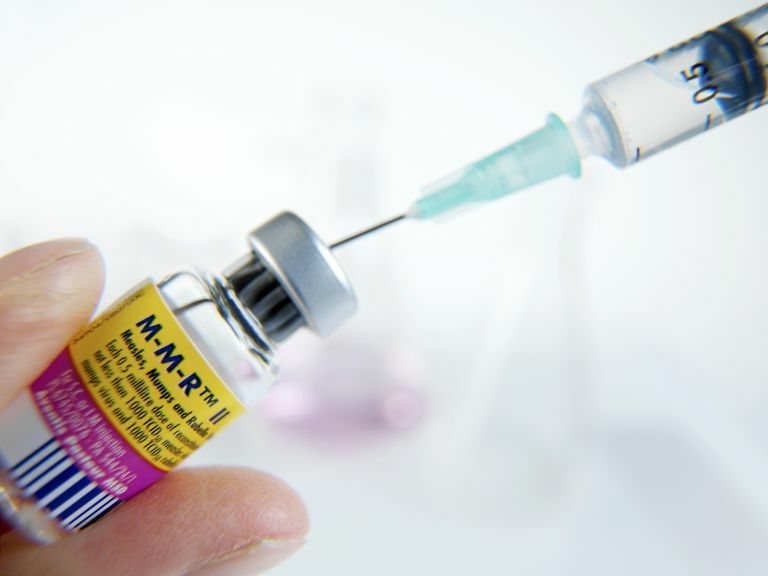 shingles vaccine, or the measles, mumps and rubella vaccine) and can develop an immune response equal to contracting the live virus. One downside of these vaccines is that they require refrigeration, which can limit the ability to use these vaccinations in some areas. If these vaccines are not kept at the correct temperature they can become inactive and the immunization may not be effective. Also, some live virus vaccines come as a powder and require mixing with a particular fluid before being administered. Mixing with the wrong kind of fluid or an incorrect amount of fluid are potential errors that may lead to poor vaccine performance. Newer technology allows live virus vaccines to be introduced as a vector or "trojan horse." In this type of vaccine, the live virus introduces a piece of DNA into the body. The DNA is what causes the immune response, not the virus. The virus enables exposure and allows the DNA to bypass your bodies immune system detection initially. In this scenario, the live virus is the trojan horse carrying the DNA into the body. While small, there is always the risk that the weakened virus could change and end up causing disease rather than preventing it. If you are a parent then you know there are many different kinds of vaccines your pediatrician asks you to give your child. Some of the other types of vaccines are outlined below. Killed (inactivated) vaccines are made from a protein or other part of a virus or bacteria. The flu shot is an example of a killed vaccine. Inactivated vaccines are easier for your health care provider to handle. Most do not require refrigeration, special mixing or shipping requirements. The longer shelf life means they are more likely to be offered in your physician's office. With inactivated vaccines, you are not at risk of developing the disease that the vaccine is intended to prevent. One of the common flu myths and reason people refuse the flu vaccine is that they get the flu with vaccination. Inactivated vaccines (e.g. polio and pertussis) often require multiple doses during initial immunization and periodic booster doses for continued protection. This sometimes contributes to decreased immunization rates. Toxoid vaccines do not produce immunity to the actual infection. Rather the vaccine contains a toxin or chemical made by the bacteria or virus that prevent the harmful effects of the infection. Exposure teaches your bodies immune system how to fight off the toxin without you developing the side effects of full exposure. Subunit vaccines contain certain parts of a bacteria or virus that will stimulate an immune response but will not lead to the development of the disease. Conjugate vaccines do not specifically target the actual virus or bacteria, but the outer shells the bacteria or virus use to try to mask themselves from your immune system. This type of vaccination works particularly well in young, less mature immune systems. Biosynthetic vaccines are just like the name implies. A scientist creates a manmade substance that is similar enough to the virus or bacteria that the body creates an immunogenic response. The Hib (Haemophilus influenzae type B) conjugate vaccine is an example. Vaccines are one of the true public health success stories of my lifetime. We have seen the average age of meningitis in the United States, an infection of the brain that used to devastate young children, go from the first 30 days of life to age 18. Tetanus, diphtheria, mumps, measles, whooping cough, meningitis, and polio are examples of a number of diseases that used to be common. Not only do these diseases cause significant illness, but they can also cause lifelong medical problems and even death. While not all of these diseases have been eradicated as polio has, vaccines have significantly reduced the incidence and complications from these diseases. World Health Organization. Live attenuated vaccines (LAV). CDC. Basic and Common Questions.